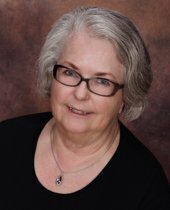 My name is Sylvia McChesney and I am one of the newest agents to join the Century 21 McAlpine Real Estate team. I was born and raised in New Jersey where I started my family with Jim, whom I’ve been married to for 43 years. We’ve raised 4 wonderful children and also 10 beautiful grandchildren. We moved here to Conway this past summer from Florida, and could not have chosen a better, more quaint and cozy place to call home. I have always been an admirer of family and community which is what has inspired my career paths thus far. I have 35 years of experience in Banking, 10+ years working at Home Depot, in addition to holding official positions as President of Warwick Valley Chamber of Commerce as well as Director of the Goshen Chamber of Commerce in NY. Also while up north my family and I owned 2 restaurants in NJ and NY. A strong sense of family and community is something my family and I have always valued, which is why I made the choice to join the Century 21 McAlpine Real Estate team. Not only do I get to work alongside people with the same values as mine, but I also get to work with my son, Paul Schroeder who has been with McAlpine for years and has loved every minute of it!